Lofts on Post Oak is made up of an 8 story tower and the rest of the condo units are in 4 story mid-rise. There are 351 units and 2 Penthouses. 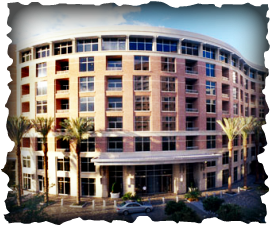 Amenities include: Controlled Access Building | Controlled Access Assigned Parking | Concierge | Valet | 6 Pools | Sauna | Fitness Center | Party Room | Theatre Room | Conference Room | Business Center | Dry Cleaning Pickup.